No more rooting around the folders in your inbox looking for emails that you sent to a Contact. You and your team can use Campus to collaborate and always be informed. 1. Ensure you have an SMTP account set up. 2. Go to your Contacts, hover over one and click on their name. Once you're on their page select the Email tab in the Communications Pane. You'll be presented with a familiar looking email window that includes all the features that you'd expect in a standard email client. If you want to send a copy to yourself simply tick the Send me a copy checkbox. Any email you send through Campus is logged in the contact's notifications feed. You can turn this off by unticking the Log in Campus checkbox. This is useful if you want to email something off the record. Campus will already have figured out that you want to email your Contact (it will have popped their email into the To: field for you). You can of course add other recipients by clicking on the Add recipient link. When you do a window will appear where you can add the email address of this additional contact. Once you've clicked the Add Recipient button the new email will appear back in the Email pane. 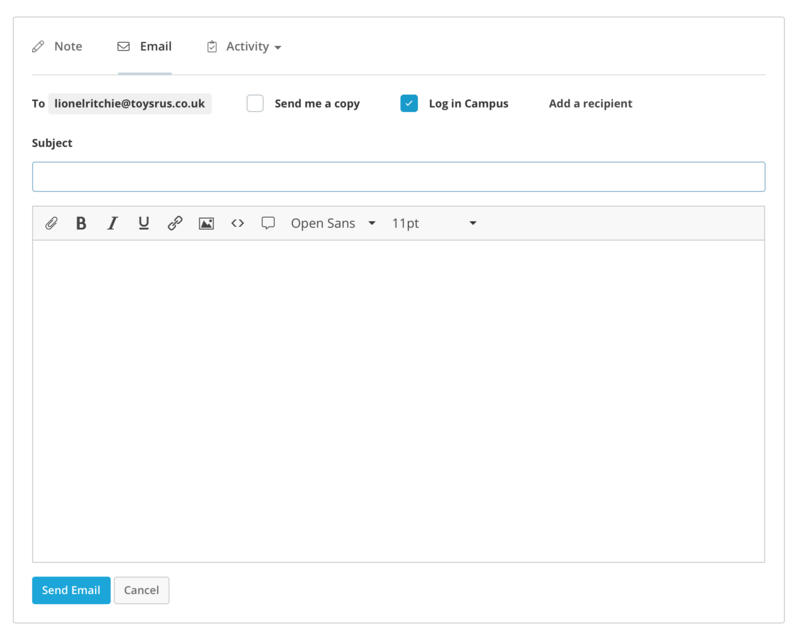 You can create rich content for your email by using the many WYSIWYG features in the email body. This includes: bold, italic, underline, font family, font sizes, inserting links, inserting tables, uploading and inserting files, uploading and inserting pictures, and inserting custom variables. If you're hot with HTML you can even build your email directly from the source code window by clicking on the <> button. 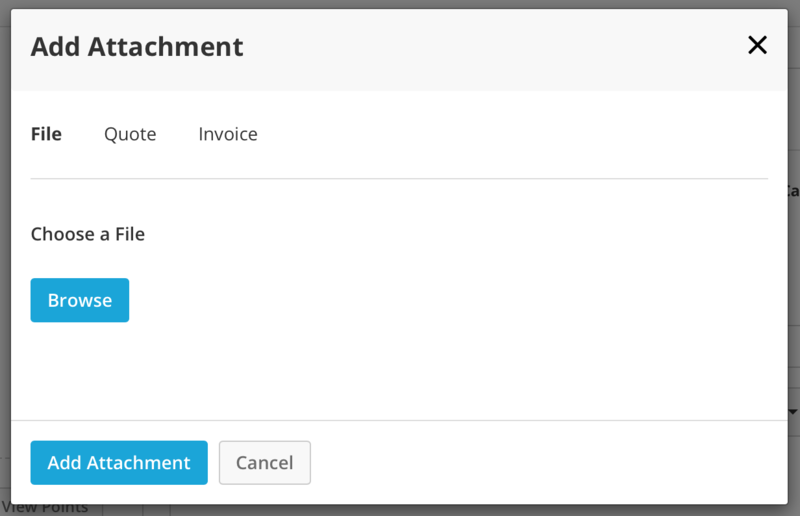 You can add attachments to your email by clicking on the paperclip button in the email window's footer. This will fire the Add Attachment window where you can either browse your computer for a file or attach a quote or an invoice from Campus. Once you've sent your email it will appear in the notifications feed below so you have it to hand when dealing with your contact in the future.